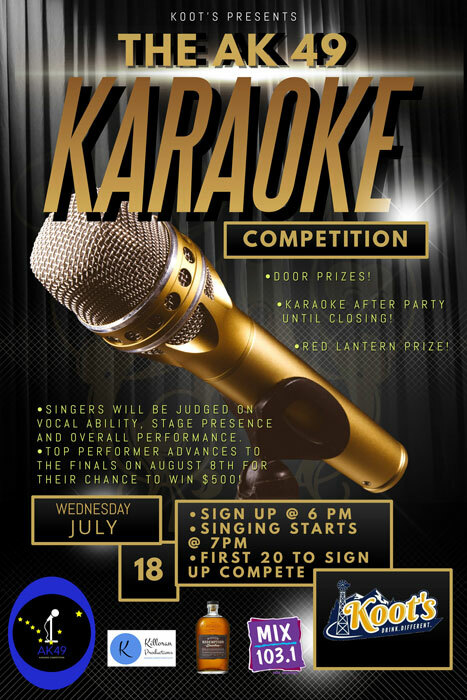 We thought it was time to bring back a karaoke competition to everyone! You don’t have to be a pro to compete here! Karaoke is fun and for everyone! We will have 7 preliminary rounds that are held at different locations throughout Anchorage and the Valley. 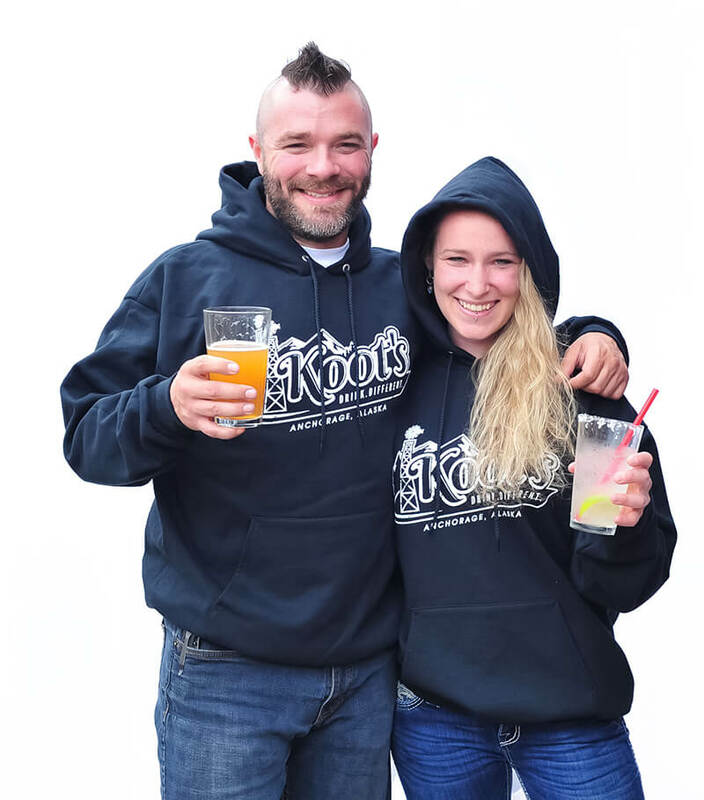 Finals to be held at The Last Frontier Bar in Anchorage on Wednesday, August 8th at 7pm. The winner of each week will advance to the finals. We even have a red lantern award that will be given out to the last place contestant at each preliminary!RULES:- Age 16 and up*Note- all singers and spectators under 21 need to have a parent or legal guardian with them during competition.-You can choose a song from the karaoke selection provided or bring your own song via thumb drive, CD or iTunes on phone. (YouTube is not allowed).- Sign up starts at 6pm at each location. Competition runs from 7pm-9pm.- We take the first 20 people to sign up that evening, no reservations.- 1stplace winner for each preliminary round will advance to the finals.- All others that do not win 1stplace during preliminaries are welcome to come back week after week and compete for a spot in the finals.- “LAST CALL” ROUND:All 2ndand 3rdplace singers from each preliminary round that does not get a spot in the finals will be able to come to the finals and compete in our “LAST CALL” to start the show. 2 singers will be chosen to advance to the finals!- There will be a “Red Lantern”award for the last place singers of each preliminary round. This award will get you a spot at a Master Class taught by Anchorage's very own Megan Killoran. Megan is one of the leading vocal coaches in Anchorage, the Director of the Great Alaska Talent Competition and is also the lead singer of the band Nothin' But Trouble, Lil' Trouble, Nothin' But Karma and The MJ Duo. In this master class, Megan will critique one of your songs with the group and also give you some breathing and vocal exercises you can take home and work on to work on getting better! Date of the master class is TBD.